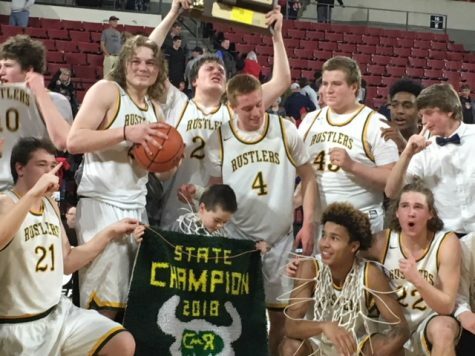 Although there are many fans at each Rustler sporting event, there are very few who are more as committed to school spirit than cheerleaders and the pep band musicians. 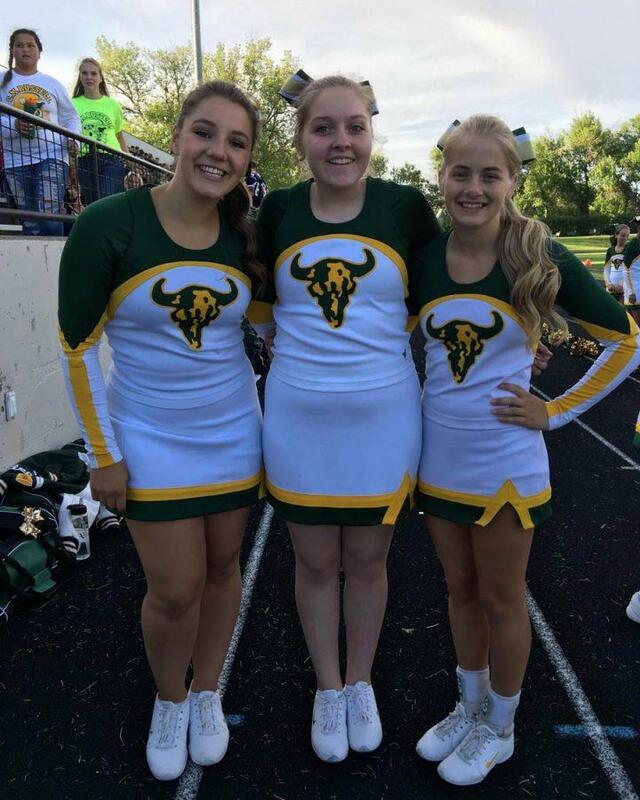 Senior Garrity Wright is both a musician and a cheerleader, playing in the orchestra and participating in cheerleading all four years at CMR. Four years later, she is captain of the squad and plays in the chamber orchestra. She decided to join the cheer team after seeing how many friends she could also have as teammates, and saw it as a fun commitment to make. Looking back, Wright said she sees many differences between that first year and now. “The team has definitely changed a lot in how we do things. Our conditioning has stayed the same, and the tradition of doing the G-O cheer has also stayed the same,” she said. Recently, though, the cheer team had a more dramatic change with a change of coaching staff. Wright and the other captains, Emily Grooms and Leeanna Schearer, decided to change the school song dance after the adjustment to new staffing. She has also noticed a more significant change. “We seem to have a better relationship with the crowd,” Wright said. Wright believes that as a student she has learned lifelong skills from cheerleading, including time-management and communication methods. “Having either practice or a game all but one day of the week, most weeks, finding time to get my homework done has become my top priority. As a person, I now have a very broad insight on effective communication and leadership,” she said. She recently enlisted in the Montana Air National Guard. She leaves for basic training and tech school this coming summer, and afterwards plans on attending Montana State University in Bozeman to study nursing. “Cheer has taught me leadership skills and dedication. I can apply these skills to the Air National Guard,” Wright said. She encourages anyone considering cheer to join.